Shoppers fearless the strong winds and rain near St Paul's cathedral in central London. 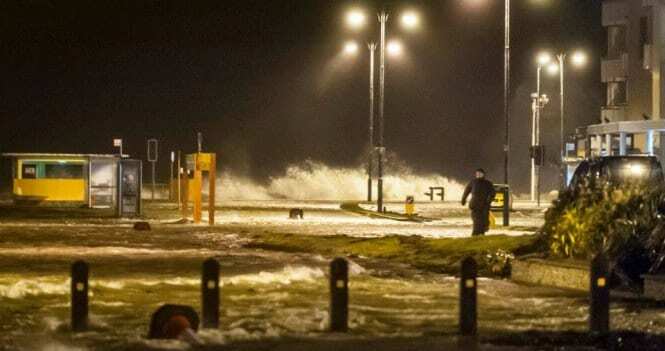 Coastal areas in Galway, Mayo and Donegal are at risk of flooding, with gusts of 130km/h expected as Storm Erik hits Ireland today. Meteorologist Simon Partridge from the Met Office, said: 'A bit of a mixed bag this Sunday morning. Meanwhile, in the north it's going to be a fairly bright day. A separate yellow warning for heavy rain is also in effect for much of the country until the same time.